Build your personal brand in your organization or industry. Who you are and how you're perceived -- what you can do and what you're known for -- and who you know and who knows you ... all of these things matter in business. Combined, they equal your personal brand. You must spend some time building and marketing your personal brand if you want to be perceived as an expert or thought leader in your field. Learn how to show your own value and build a stellar reputation. BRODY's Ignite Your Personal Brand provides the tools and strategies to build and market your brand within your organization and industry, so you are able to achieve greater professional success and recognition. Marjorie Brody founded BRODY Professional Development more than 30 years ago, after a successful career as a college professor teaching communications and presentation skills. BRODY has since grown to be a global training, conference speaking, coaching and consulting firm with many clients in the Fortune 100. Marjorie has written more than 30 books on a variety of business/leadership communication topics, including "IMPACT! Deliver Presentations That Get Results," "Influence Without Authority," "Leadership Presence," (co-authored with Amy Glass) and "Ignite Your Personal Brand." Over the years, Marjorie has delivered most BRODY programs – in person and virtually. 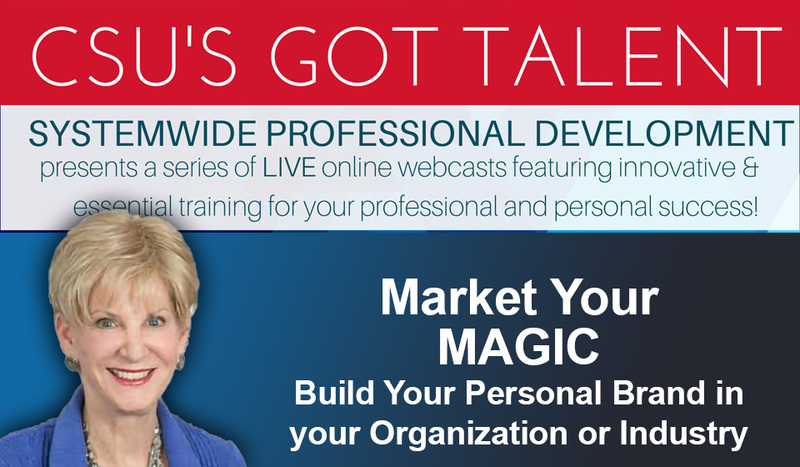 Currently, Marjorie focuses on: presentation skills training offerings, Influence Without Authority, Leadership Presence, Ignite Your Personal Brand, and Coach With Courage. Marjorie is a member of Master Speakers International, Healthcare Business Women's Association, and Life Sciences Trainers & Educators Network. She has also served on nonprofit boards of directors, including National Speakers Association and National Speakers Association, Philadelphia Chapter.